A peek into Graphic Designer life. Many people think and get confused by the word Graphic Designer . What is a Graphic Design? What does a Graphic Designer do? What about the scope of the industry. If you are looking for the answer you are at the right place. What is a Graphic Design? Graphic design basically is “the art or profession of visual communication that combines images, words, and ideas to convey information to an audience. Graphics is all around us. It is in our morning paper, on our commute to work, and on the cover of our favourite books. What does a Graphic Designers do? Graphic designers combine art and technology to communicate ideas through images and the layout of web screens and printed pages. They may use a variety of design elements to achieve artistic or decorative effects. They develop the overall layout and production design for advertisements, brochures, magazines, and corporate reports. Graphic designers work with both text and images. They often select the type, font, size, colour, and line length of headlines, headings, and text. Graphic designers also decide how images and text will go together on a page or screen, including how much space each will have. When using text in layouts, they collaborate closely with writers who choose the words and decide whether the words will be put into paragraphs, lists, or tables. Graphic design is becoming increasingly important in the sales and marketing of brand. Therefore, graphic designers, also referred to as communication designers, often work closely with people in advertising and promotions, public relations, and marketing. Frequently, designers specialize in a particular category or type of client. For example, some create websites layout., while others work with print media and create signs or posters.and many more they play with the look and feel of the layout. Graphic designers must keep up with new and updated computer graphics and design software, either on their own or through formal software training programs. They must be able to create designs that are artistically interesting and appealing to clients and consumers. They produce rough illustrations of design ideas, either by sketching or by using a computer program. Graphic design is a very exciting career to enter into. You’ll often be working with cutting edge technology, using your creativity, and having fun doing it. Designs can include: brochures, posters, magazine covers, magazine layouts, tickets, business cards, T-shirts, Book ,signs, logos, layout (typesetting), Facebook pages, menu design, importing advertisements into a newspaper, websites, cd covers, dvd interactivity elements, Internet banners, flash animation, web interfaces, app interfaces, Power-point presentations, and more. creative designer Graphic designer graphics What does a Graphic Designers do? What is a Graphic Design? 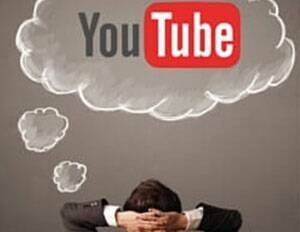 Is VOD without YouTube a profitable venture for Content Owners?